Here's yet another good sign for the job market: First-time claims for unemployment benefits fell last week to their lowest level in more than five years. 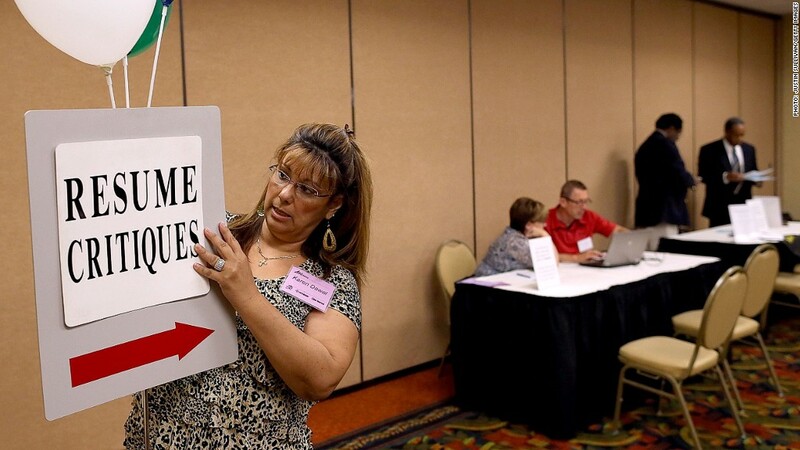 About 326,000 people filed initial claims for unemployment benefits in the week ending July 27, the Labor Department reported Thursday. That marks the lowest level of weekly claims since January 2008 and seems to indicate layoffs are back to levels more consistent with pre-recession hiring. That said, July is a notoriously choppy month for weekly jobless claims, so economists often prefer to look at a four-week moving average to smooth out some of the volatility. That indicator fell last week as well, and is now at its lowest level since May. "We are optimistic that the downward trend in claims will persist and that the labor market will continue to improve, but we are also cautious that claims may rise again in the next few weeks," said Thomas Simons, money market economist for Jefferies & Co., in a note to clients. Meanwhile, 2.95 million people filed claims for their second week or more of unemployment benefits, also marking a decline from a week earlier. The initial claims report is viewed as one of the more important gauges of the job market. Released every week, usually with just a five-day lag, it's the closest thing we have to a real-time jobs indicator. For that reason, economists scrutinize the numbers to come up with their predictions for job growth each month. This July, economists surveyed by CNNMoney predict employers added 180,000 jobs, marking a slight slowdown in hiring after they added 195,000 jobs in June. The Labor Department will release its monthly jobs report on Friday morning. In a separate report Wednesday, payroll processing firm ADP (ADP) said the private sector added 200,000 jobs in July. That was more than expected.